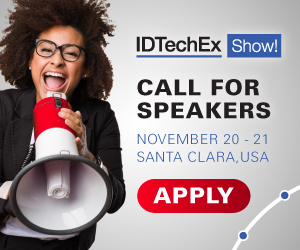 IDTechEx is highly respected worldwide for its reports, relational databases, events and consultancy on the technology and markets for its chosen subjects. These include life sciences, energy storage, energy harvesting, electric vehicles, wearable technology and advanced materials. The emphasis is on using facts-based analysis to see the future and guide business decisions of our customers. They include the world's largest chemical, healthcare and automotive companies through to start ups. Our biggest events are in Silicon Valley and Germany and we serve organizations in 80 countries, with teaching forums and staff in Asia, USA and Europe. With a Queens Award and 20 years of strong organic growth, we seek more analysts as we expand. A PhD and languages help but they are not essential. Some of our best analysts and our CEO have neither! We seek those with a degree in a science and engineering topic with a strong curiosity to explore the business opportunities of innovations. The company already has a world class systems and software department to complement our analyst team. Travel and presenting are involved: some of our staff travel a great deal, others travel less and write more. Some live in London and abroad so we shall certainly consider you if you are not going to live near our Cambridge headquarters (although Cambridge based employees are preferred), as long as you can attend meetings as required. Indeed we need analysts in Japan and the USA as well. We shall train you and, being a small company, you will find we listen to you and you will have the satisfaction of changing both us and our customers for the better. If you have at least an honours degree in science or engineering and curiosity please see www.idtechex.com/careers for more information or apply to jobs@idtechex.com. It could be the best move you have ever made.